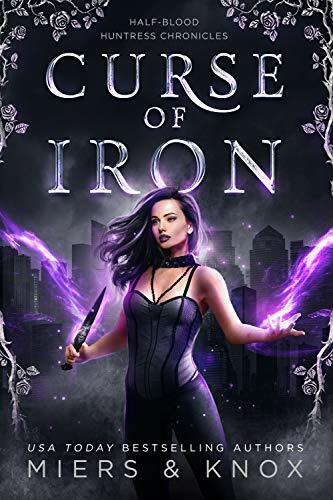 Curse of Iron, the first in the Half-Blood Huntress Chronicles by author team D.D. Miers and Graceley Knox. Morgan Silk is a hybrid, the daughter of the Fae Storm King and a witch. Her mothers family wants her dead. Morgan wakes up with a dead body in her bed, realizing that it is the Alpha of the local shifter pack. While trying to figure out who framed her she learns that the Alphas best friend and right hand, Grayson Xenos is tailing her. He is a jaguar shifter and proved so different then she thought. The enemy that is after Morgan has a nasty streak for her and is out to take all that she has, but mainly her life. Can she and Grayson figure out who not only killed his Alpha, but also who is trying to kill Morgan. A modern office romance, but not exactly. 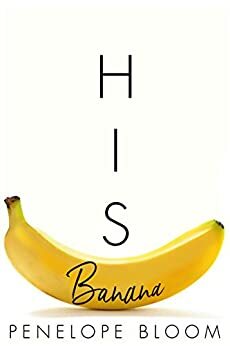 His Banana by Penelope Bloom is a cute funny romance. Nat is a reporter that is a little bit clumsy. Everything that she does seems to mess up in some way. And this has negatively impacted her job reporting for Business Insider. But her boss has given her a huge break. She has been asked to go undercover and investigate Bruce Chamberson, marketing wiz and overall rich guy. His company is hiring interns and Nat gets to try to find a position. On the day of her interview, she happens to spy a banana in the breakroom, being her normal self, she snatches it right up and starts eating. Little did she know that the piece of fruit belonged the the man she was sent to investigate. In order to make her life miserable, he hires her on the spot to be his personal intern. Now her new job requires that she take him everywhere, fetch his coffee, and everyday before 10 have a perfect banana waiting for him on his desk. Bruce couldn’t believe that he saw someone eating the food he had labeled with his name. Perfectionist with a serious touch of OCD, Bruce likes everything to be a certain way. From what time he wakes up, to how much time he spends in the gym, to the exact time that he eats his banana every day before lunch. But when Nat comes into his company and his life, what he knows and likes go up in the air. Why would he let her in, after a bad experience with an ex, Bruce isn’t quite ready for what Nat makes him feel. Charmed by Them the first in the Quitessence Series by Serena Akeroyd. Sascha has been living in London for six years now. 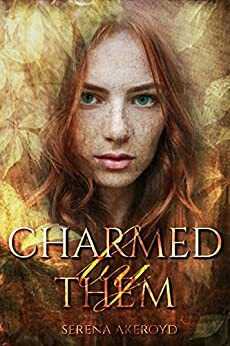 She use to be the housekeeper for a diplomat and then an older socialite, but when her agency sends her to a house in London looking for someone to run the household, Sascha is in for more than she originally thought. Sascha is into vintage, whether it is from her Caddy she brought across the pond or her wardrobe of 50’s area clothes. k killers. But as she starts talking to Sean, she learns something that was left out of the add. Not only would she be taking care of the house but that there are actually 5 guys that live there not just Sean. Each of the guys more brilliant than the last. 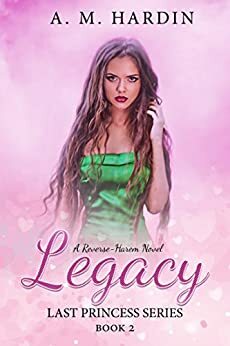 Legacy, the second book in the Last Princess by A.M. Hardin. Cherish and her guards are on the run. Forced to flee after the actions of her brother Forrest, they arrive at Andrei’s grandmothers home. But she isn’t a knitting granny, no sir. His grandmother is the leader of the resistance in her village, questioning the roles of those around them, Cherish’s father (though they did not dislike him). Cherish is thrown into the idea that in order to better her kingdom she will need to take up the mantle of queen and have faith in herself. Since arriving at her home, Cherish had been satisfied in just being the princess in name and not having to worry about it in actions as much. But with the new turn of events, she has to take on all the politics and the kingdom. But can she overcome what Forrest is trying to do? He has deemed her a traitor and how many people are going to believe him over her, since she is only half human. What new obstacles will occur and since Cherish isn’t the traitor to the kingdom or the rebels, she will have to learn fast who is a traitor to her. The final book in the Challenge series by Lily Harlem. Breakaways follows Olivia and her husbands from the coast of Spain to the Outback of Australia. Olivia has found out news that is shocking to her and the guys. She is pregnant from one of her husbands and all five of them are excited to become fathers. Evan learns that his father has died and that in order to keep the family sheep ranch he will have to return to care for it. On top of that, the group finds out that the three kids that were stowaways with them on their way to Raul’s home. The group decides to take the children with them so that they get the chance to have a family and everyone loved them so much. The group take the chance to use Harry’s money for something good to grow their family. The group really learns how far the Vidal name and money can get them. Riley learns about their “marriage” but doesn’t understand how they can all be married to Olivia and be expecting an unknown fathered baby. The children and even the adults are excited to try out a new life in the outback for all of them.